Did you get paid? Yes I am pretty new to it had it hanging around from mid or end of November and usually their payments are released on the 18th of each month so I had to Jan 18 to get my payment and for the first month I just earned $2 but it is said you can earn more any amount in my eyes is worth it but best of all I didn't do anything just usual swiping of my phone, I didn't swipe aggressively just for points. Many of us are unaware that there are apps out there for our phones both for Android and IOS and these apps actually pay some with little to no work, others maybe time consuming like downloading apps. Here I share with you another app that pays monthly just to have it on your phone, it's a lockscreen that sits there you just need to swipe and you get a few bucks every month not bad right? 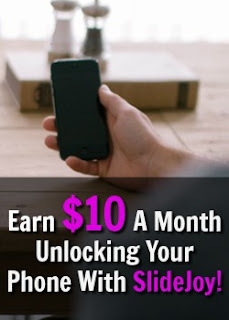 Well try having it on a few other phones you may have sitting around afterall it sits there and earns money you actually just need to swipe a few times a day.